On Thursday, May 28, Aurora Children’s Playhouse: Summer Edition kicks off with a special Thursday performance with Juggler Ron Anglin and his Heroes I Have Known juggling show. During this special performance, Anglin shares stories of the jugglers, teachers and soldiers who have been his personal heroes as he does the gravity defying routines that they inspired or helped him learn. On Thursday, June 4, BlackTop Playground with Improv Comedy for Kids provides audiences with a hilarious treat. The BlackTop Improv Group is comprised of internationally known comedians that have appeared on BET, HBO and Comedy Central. Much of the BlackTop success comes from these fellows having a child-like sense of humor. With quick wit and imagination, BlackTop instantly creates funny scenes using suggestions from the crowd; with suggestions coming from children, audience members will get a hilarious and creative comedy show with tons of interaction. Don’t miss one of the most exceptional, versatile and comically explosive force in the entertainment industry today! Big Thinkers Science Exploration returns on Wednesday, June 10. It's a bird, it's a plane – it's SCIENCE! Join the Big Thinkers on stage to explore the properties of air, pressure and flight in this thrilling presentation. Between the floating beach balls and the floating children (via the Big Thinkers hovercraft), this show is sure to be a blast – audience members can even help launch screaming rocket balloons! Watch your head as the Big Thinkers’ Smoke Ring Cannon aims for the crowd! Who knew something as simple as air could be this FUN!? The amazing Arthur Atsma returns for a fourth summer with his mega-hit Camp Aurora Magic Show on Wednesday, June 17. Atsma will amaze and amuse folks of all ages with a show filled with captivating sleight-of-hand magic, audience interaction and comedy. When a child is focused on a magic trick or thinks, "How did he do that?" their minds are open to a world of possibility and learning. Maybe it’s not necessarily magic, but Atsma has a way of making tickets disappear. In Aurora Children’s Playhouse: Summer Edition’s grand finale The Atlanta Shakespeare Company presents Shakespeare 4 Kids: Dream Scheme by Erin Hurley Sheffield with music by Andrew Kane. This is a fun (sometimes wacky) take on A Midsummer Night's Dream, designed for kids ages 5 and up. A production filled with music, mayhem, some friendly sock puppets, crazy costumes, a magic “plot easel” named Pleasel and a special show robot aptly named “Sho-bot”, kids may even leave quoting some Shakespeare and singing in the aisles. Either way, everyone will leave smiling. 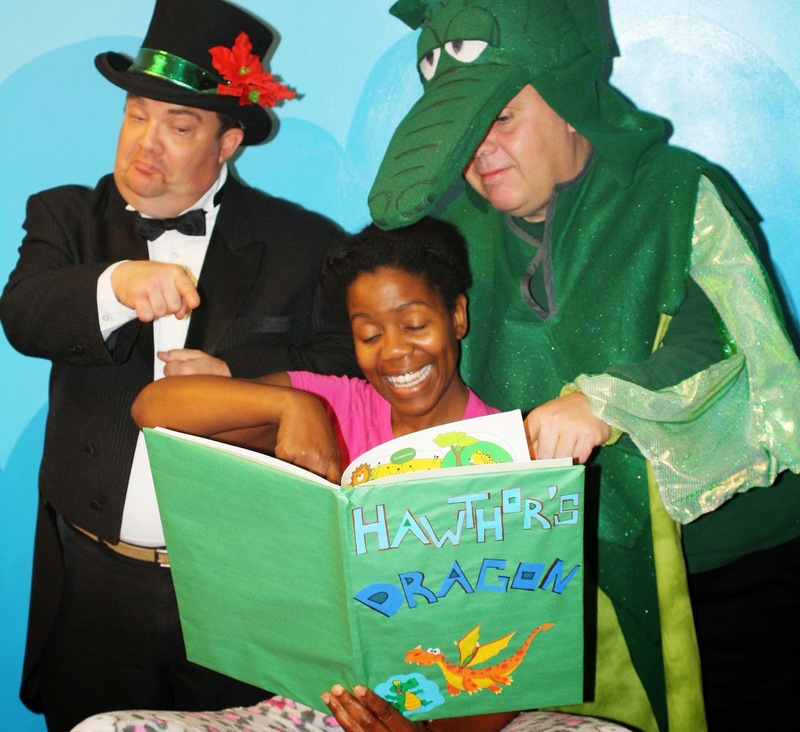 Aurora Children’s Playhouse features puppeteers, magicians, storytellers, jugglers, musicians and is intended for youngsters to have their first theatrical experiences. At about 45 minutes in length, perfect for the young attention span, these lively performances are fun for the whole family. 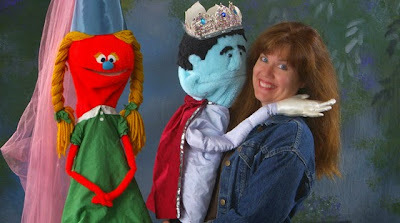 Aurora Children’s Playhouse: Summer Edition is back for a fifth summer with Wednesday and Thursday morning performances at 10 a.m. and 11:30 a.m.
For more information, visit http://www.auroratheatre.com/education/childrens-playhouse/. Tickets are $7 per person and can be purchased online at www.auroratheatre.com, or by calling the Box Office at 678.226.6222. Aurora Theatre will accept the popular PlayhouseTix for admission for the summer performances; however sales of new punch cards will be suspended May 17–July 10. Programming in Aurora Theatre’s 2014-2015 Aurora Children’s Playhouse is possible through generous support from Metro Waterproofing.